YouTube has now introduced a new way to get your videos discovered. The hashtags show above the video title. This is the latest expansion of YouTube Hashtags. You put the hashtags in the description of your YouTube video and the 1st 3 will show above the video title. This is a hyperlink and upon clicking the hashtag, you will see a list of videos which have that particular hashtag. 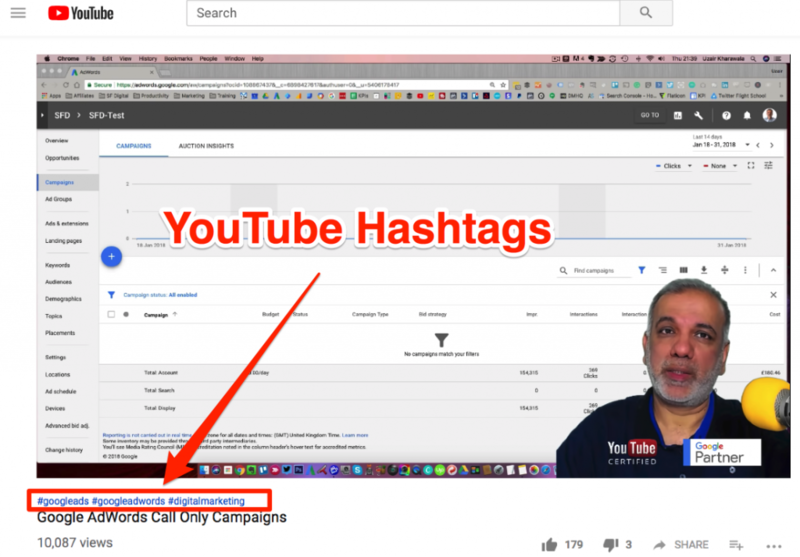 You can use YouTube Hashtags in video titles or descriptions to help viewers find your video when they search for a specific hashtag. Here’s a short interview with Nico of Morning Fame. Morning Fame is one of the best video seo keyword research tools at present. We use it extensively in our business to outrank our competitor’s videos. Uzair: Hello Everybody, my name is Uzair and thanks for joining in. In this video, I’ve got a very special friend and a special guest I should say, Nico from Morning Fa.me. I came across Morning Fa.me about five to six months ago when I started my YouTube video marketing and at first I thought it was just one of those tools which a lot of people release and it’s just going to be something which says a lot of things but may not help, but I was very wrong with that because it is an amazing tool. I use it pretty much every time I upload a video. It has helped me rank videos. It has helped me beat my competitors and I am now getting a lot of views, interaction, engagement on my YouTube channel and I would highly credit all this to Morning Fa.me. So if you’re serious about video marketing, I would highly recommend that you have a look at Morning Fa.me. So without further ado, I would like to introduce you to Nico. Nico, how are you? Nico: Thanks for having me here. Uzair: Thank you for your time and thank you for coming. It’s a pleasure to be online with you and talking about Morning Fa.me. So tell us a little bit about yourself and what Morning Fa.me is. Nico: Yeah absolutely, Morning Fa.me is an analytics tool on one side to understand your audience and on the other side, like you just said, what you use for every upload, a keyword research tool so you can make your videos rank in search. And I think this is basically everything I think you need in order to grow your channel. I’m focusing particularly on small channels, analyzing them what they need, and you know, as a small channel, basically you need new audiences, right? Somewhere the first subscribers has to come from. And of course the more you scale, you still need more audiences to come your way, so SEO ranking in search is your foot in the door. So that’s the reason why half Morning Fa.me is focused around that. And of course you have to understand how you keep your audience, right? They are coming on your channel and are happy about one video they watched, but then they subscribe and they want to continue to see videos on your channel so they stay engaged with your channel. So the other half of Morning Fa.me is basically analytics that is more than just numbers, I would say, in a sense it helps you understand what your audience really likes so you can decide what video topics you should be doing more of, to please the audience you have on your channel. Uzair: And you said something really good just now that will you help you understand the analytics because with analytics, a lot of times people get freaked out about lots of data and graphs and pie charts and all sorts of things. But it’s a real pleasure for me to use Morning Fa.me because it’s so easy. It really is so easy and it’s a great credit to you for keeping things extremely simple so that even a non-techie person like myself can just log in without any fuss get on with it. Start to get my videos ranked. Nico: Thank you. Actually this was one major focus I had on that because I did actually create a Morning Fa.me before the one you are just seeing. It was two years ago. I spent three and a half years ago. I started with the first version of Morning Fa.me that was a little bit of the different analytics tool and after one and a half years of work, I had to throw everything away because I got this centerpiece, not right, to produce actionable insights, so to say that’s, that’s a word as some better tests, back then told me. And that stuck with me. I mean, if you have the numbers, what do you do with them? Right. And so I tried every different way I can imagine to kind of build on top of the numbers to explain something like, for example, that’s one, a main feature, picking out the videos, that worked well on your channel so you can understand which video topics worked the best. Yeah, I mean, on YouTube it’s all about keeping people engaged with the interests they have. Right? So interests on the one side of viewers, and video topics on the other side, right. So, you have to see what they are interested in so you can do more of that video topics and that gives your audience a reason to come back. And this is more than just numbers, right? Uzair: That’s right. Yeah, absolutely. 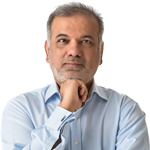 For my niche, which is digital marketing, Google AdWords [Google Ads], Google Analytics, video marketing, very, very competitive niche and I’ve just started and I’ve concentrated just on AdWords for the time being because I’ve listened to a lot of your things which you say in your live streams on Saturdays you do. And also in some of your videos as well where you said grow your channel, make it strong on certain keywords and then your channel will get the authority to be ranked for other relative keywords as well. So is that the advice which you will give to other YouTubers or somebody who wants to grow the channel. To not to go after the heavyweight keywords, but to go after the low hanging fruit, which are easier to rank and get traffic from. Nico: Yeah, absolutely. Actually, I found out when I built the keyword research tool and talked to many of my users and other YouTubers on the channel, it is actually a common mistake if you do SEO, I mean there’s a lot to learn, right? Like with Google SEO, YouTube SEO is not something you just learn in an hour, but if you learned it and know how to optimize your titles, descriptions, tags and so on, right? There’s still one common mistake and I have to frankly say I did the same mistake in the beginning before I created the keyword research tool is to try to target such terms that are just too competitive where I never would have the chance with my small channel to rank there and that is of course you can optimize all of your ones with the meta data. If that’s too competitive then you won’t rank there. And all your work is basically in vain. Nico: Right? So the first step when optimizing for a particular search term is to figure out if that search term has low enough competition so you can see eye to eye with the competition, you have the chance to rank their right? And this is really actually a common mistake and I’m so happy to have learned that and I’m so happy that the tool also can help you with that now because you know, these keyword research tools usually measure the competition of a certain search term, and what I implemented in the tool is a way that it measures the competition, not just a number, but relative to your own channel size. So you can see is it too high or all low enough regarding your own channel size. And that’s very valuable. Uzair: Yeah and it has certainly helped me grow my channel five, six months ago. I only had about 30 subscribers and right now we have reached almost 2,500. Uzair: and nothing will happen and then it’s a waste of time because I was completely uploading it the wrong way, targeting the wrong keywords. I don’t think I was targeting keywords as at all. I just put up whatever I thought would be good, you know, and thinking that people would be searching for that, but not at all, but a bit of keyword research and a bit of homework you do in Morning Fa.me and I’m not talking about spending hours. It literally takes about five, six minutes or so to find that right keyphrase or keywords and I go after it. Now, last week I believe YouTube announced Hashtags, so can you talk a little bit about how this going to affect the organic rankings? Nico: That’s really an interesting introduction here. I mean as YouTube supported hashtags for some time, right? When you put them into your description, for example, viewers can read the description and click on the Hashtag and then they go to a search page for this Hashtag’s such term so they can discover more videos around the same topic that the Hashtag is describing. And just last week YouTube introduced a new feature which takes the first three hashtags you have in your description and put them next to your video title on the video watch page. So these hashtags are now front and center because they want to encourage viewers to actually click on those hashtags, to discover more content around that topic. And that is of course for us, a new way to get discovered. Uzair: So, would you recommend that we go back to all our videos and put the hashtags and the first line of the description? Nico: That’s actually a good question. It depends on what kind of hashtagging strategy you want to apply. First of all, you have to see those hashtags that you can use from different perspectives. One type of hashtag, where it would make sense to go back to all your videos and edit your description would be your channel Hashtag. The channel Hashtag has not really got the purpose of getting discovered better. It’s more on a perspective of claiming your own channel Hashtag, because if other people start using your channel Hashtag as well, you would of course prefer that if people search for your channel Hashtag, then primarily, they will find your own videos, right? Nico: So, your own channel Hashtag, it makes sense to have it there. So if people search for that channel Hashtag they find your videos and this way they find the right content that you expect them to have. So that is the purpose of claiming your own channel Hashtag, but there are other types of hashtags you could use and that is where you would primarily choose hashtags for each video individually. So each video has different hashtags and that purpose and that is where we tap into getting discovered better. For example, if you’re doing product reviews, you are doing hauls, all that where it’s product related, it’s a good idea to add hashtags, the brand, the product name, maybe the store you bought it in, maybe that’s an indie small online shop where you bought it and you want to draw in the fan base of that particular online store. Nico: So, that’s also a good idea to add essay hashtag because this type of hashtags in particular has one particular power. And that is because other YouTubers who are using who are reviewing products of the same brand or from the same online store or the exact same product as well, they are using those hashtags too, in their descriptions and the knowledge that you use a hashtag on your videos that other YouTubers use on their videos as well, gives you the opportunity that the other people’s viewers on their video. They click the Hashtag and go over to your video. They discover your video because it uses the same hashtag. And that is, of course, the real power that hashtags can have that other viewers from other channels go to your own videos because of the same hashtag in use. New Speaker: Can we search for hashtags in Morning Fa.me? Nico: Yes. I just recently released an early access feature. It’s not available for everyone. You have to join the early access program to get that, but soon I hope to release it to everyone in the keyword research tool. I implement a few features where you can discover hashtags and there’s two strategies basically, which I thought about here, you can add hashtags in the description of course. So they appear next to your video title on the video watch page. That is one strategy and I recommend that to be the main strategy for now. But there’s of course a second strategy. You could also include a hashtag in your title directly. Yeah, because YouTube also supports hashtags in the title. The only drawback in this case is that any hashtags you have in the description don’t appear next to the video title then. So you can do either or not both at the same time. Uzair: Will that be a clickable hashtag in the title as well? Nico: In the title the hashtag is clickable as well. So the idea is that, hashtags are nothing else than specific search terms, right? I mean hashtags have the hash in the beginning as one word, no spaces all that, so they have a special format, but you can think of them as any other search term you have on YouTube as well. And if you want to go all in for a particular hashtag, you can optimize your videos around that hashtag directly, as you would optimize your video around as such term previously. Right? So in this particular focus, you could use it in the title because that would make the most weight for ranking on YouTube to use it in your title. However, the point is this, currently hashtags are not that widely used yet from YouTube. It’s brand new. Nico: It was released the new feature just a week ago, so we are currently in a phase where YouTube has start adopting it. And of course we certainly are in a phase where we have to wait how viewers behave because on one side YouTubers using hashtags in their meta data is one thing, that will of course roll out to everyone. Everyone is learning about that, but on the other hand we have the viewers who hopefully will engage with those hashtags, which means of course clicking on them and only if they start clicking on them, engaging with them frequently, then more and more traffic will come through hashtags. Uzair: Sorry Nico I say this now, because it’s very new and I noticed this hashtag on another video today and I thought, wow, this is brand new and I wanted to ask you about this. People will start to click on them, so in YouTube eyes it’s better for YouTube, better for the viewer, better for everybody because somebody is going from one video to the other. So potentially that video with the Hashtag is going to be suggested more in the suggested videos. Nico: Absolutely. The more viewers hop from one video to the next. This way the more it will feed in to the algorithm, like these watch sessions, co-watchers all that. What triggers the algorithm and of course this is positive overall then yeah. Uzair: So let them be inquisitive and we can leverage this new feature of YouTube. So how many are we allowed? Three is it? Nico: Three are actually shown next to your video title, but you can add more to your description. However, there is a limit of maximum of 15 hashtags in your meta data. If you use more, you risk in getting a ban, videos shut down. YouTube is not very clear what they actually do there, but they will do policing, which is bad. So you shouldn’t surpass the 15 hashtags limit certainly, but also, make hashtags count. Use as few as you can. I would say three, four, four at most. I would say three hashtags that are topically related, like the brand names, shop name we’ll talk just about before, plus your channel Hashtag. So we are at four hashtags now and I wouldn’t use more than that because YouTube actually went on record to say the more hashtags you use, the less relevant they will become. So basically you can think of is you have a certain amount of power with the hashtags and you’re spreading them across your hashtags. So the fewer you have, the more power each individual one gets. Uzair: So let me reconfirm, put the hashtags in the first line of your description or the title wherever, but not in the tags. Nico: No, it wouldn’t make any sense to put them into the tags. And by the way, it doesn’t matter where you put them in the description. Yeah, just the order in which you list them in the description. The first three ones will get picked to be shown next to the video. Uzair: So do we need to put a comma between the hashtags or not, just Hashtag and then the word and then space. Hashtag again. Nico: Just a space is enough yes. New Speaker: Okay fine. Brilliant. Thank you so much for your time and for explaining all this. New Speaker: Now, before we sign off, one thing I would like to ask you, Nico, is what’s your biggest tip to somebody who’s starting out video marketing and wants to grow the YouTube Channel? New Speaker: having a lot of engagement, comments below the video because this initial interaction with your initial viewers is crucial to really understand what they enjoy, what keeps a discussion going, what spurs interest on the viewer’s side, so it’s on one side yourself, your motivation, and on the other side, your initial audience, what they can give you as feedback. 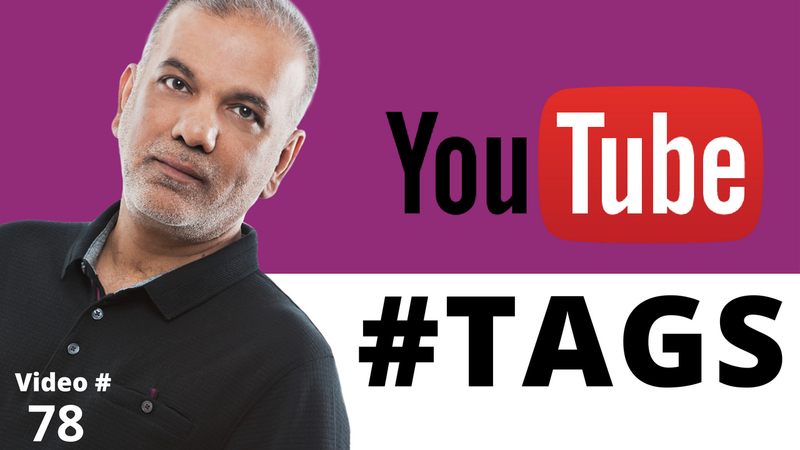 So focus on video topics and the engagement first to understand what is the real value of your videos going forward. And don’t worry about growth at that first step. It’s more important to figure out what is the value of your channel. And then once you have established at a certain level, you can think about more growing that and reaching more audiences, which you have proven to work well with your initial audience at this point. Uzair: Thank you so Nico much for your time, for giving us some great tips and advice and thank you everyone for joining in and watching this video. Myself and Nico wish you all the continued success for your YouTube channel. And Nico I would also like to say great job, you’ve done a fantastic job with Morning Fa.me. Thank you so much for creating this tool. And I’m wishing you every success or continued success for growing Morning Fa.me to an even better tool for all of us. Nico: Absolutely. Thank you very much. And Yeah, keep on your really incredible growth. You’re such a great role model. With this pace, you’re growing your channel with this much focus. This is really a good example where a channel really offers value. Uzair: Thanks a lot. And speak to you soon. Nico: Thank you as well Uzair. See you.